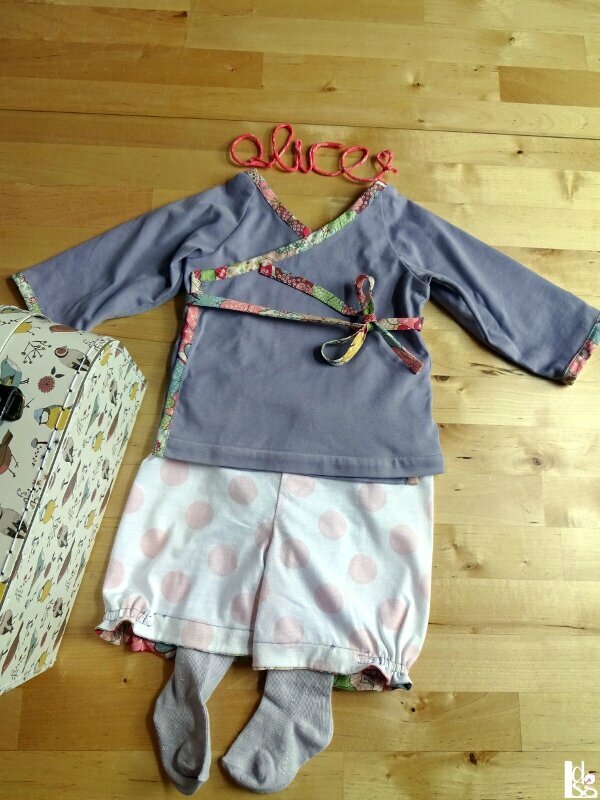 Kiwi baby's vest & shorts by "Le son des grelots"
The blog "Le son des Grelots" tested for us our Kiwi baby's vest & shorts sewing pattern! We love the pattern description on her blog and the very pertinent remarks she gave us back. She chooses to reverse the front and back of the baby's vest to show the wrap-over-top side which gives a nice variation. Is it not a lovely version?